Convicted felons lose many of the rights that much of society takes for granted. For example, convicted felons automatically lose their voting privileges. Also, they are not allowed to legally own a firearm. However, convicted felons are generally able to obtain a passport. 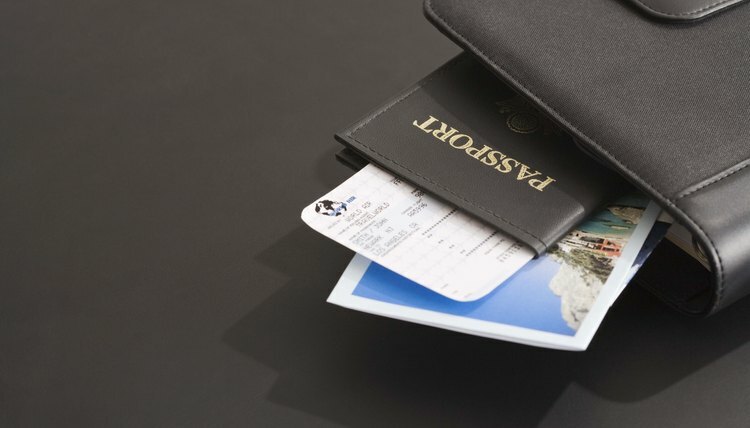 You may be denied a passport if you are facing a trial and considered a flight risk, have an outstanding warrant, or if the State Department deems that you are too much of a risk to others. The process of obtaining a passport for a convicted felon is the same as it is for anyone else. Keep in mind that there are some countries that do not allow convicted felons to enter, even if they have a U.S. passport. Canada is one such country. Locate a passport agency. This can be done by going to travel.state.gov/passport. You must apply in person if this is the first time that you’re getting a passport. Review and complete the application form, called a DS-11. You will be asked to swear under oath that the information that you have written is the truth. Do not sign it until the official at the passport agency authorizes you to do so. Present proof of identification. This must be submitted with the application. You must provide at least one of the following documents--a previously issued passport, current government identification, current military identification, valid driver’s license or a naturalization certificate. Present proof of citizenship. This must be presented with your application for it to be valid. One of the following documents has to be provided to prove citizenship: certificate of citizenship, previously issued passport, naturalization certificate, certified birth certificate, or a consular report of birth abroad. Make photocopies of the proof of identification and the proof of citizenship documents that you are submitting with your application. These copies must be made on plain white paper that is 8.5 x 11 inches. This copy must also show the front and back of each piece of identification. Provide two identical color photos that have been taken within the last six months. The photographs must be 2 inches x 2 inches. The pictures must show the front view of your face with a white or an off-white background. Submit your application with the necessary identification and photos. Pay the administrative fees. Van, Yvonne. "How to Get a Passport With a Felony." , https://legalbeagle.com/5791158-passport-felony.html. Accessed 19 April 2019.